Saturn should i get new tires? So I was looking at the tires that were on the rims I just swapped over to my Saturn and there's a bit of dry rot goin on. Think it'll be ok? Its like that all the way around. 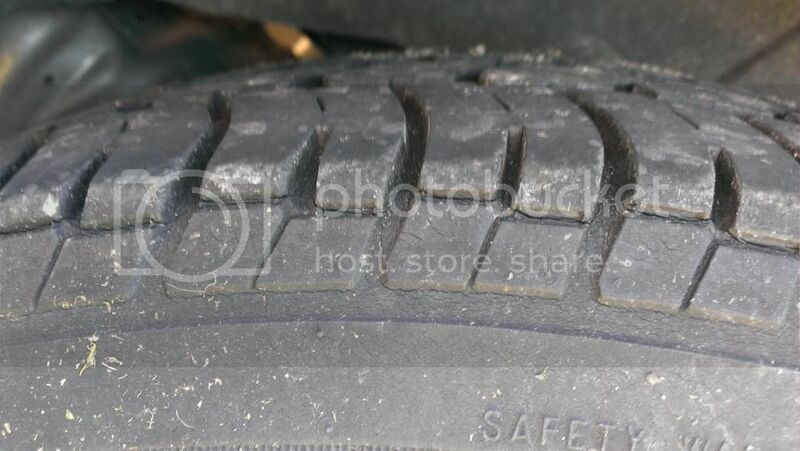 I know I should just put new ones on but Is it unsafe to drive on them for now? Cool. Just wasn't sure cause that little bit of rot went all the way around the tire. They have a good amount of tread on them so I was hoping they would last. The front two aren't like that, just the back two.